Lucia Blaize-Jones may be the new manager of the Grotto Home for the Homeless (GHFH). Officials of the GHFH say they are waiting on government's approval of Blaize-Jones's appointment. She will replace Ann Solomon-Charles who resigned about one year ago after serving the organisation for several years. Parry Bellot, the Public Relations Officer of the GHFH Board of Directors, told the SUN: "We have tentatively approved Lucia Blaize Jones as the acting supervisor. As you may or may not know, a few years ago Government agreed to pay the full salary of the person and so the person who holds that post must be approved by Government and that is where we are at the moment, awaiting their full approval. We are very pleased to have her services, she is also well qualified in social work and what we have seen thus far from her in the work is impressive." 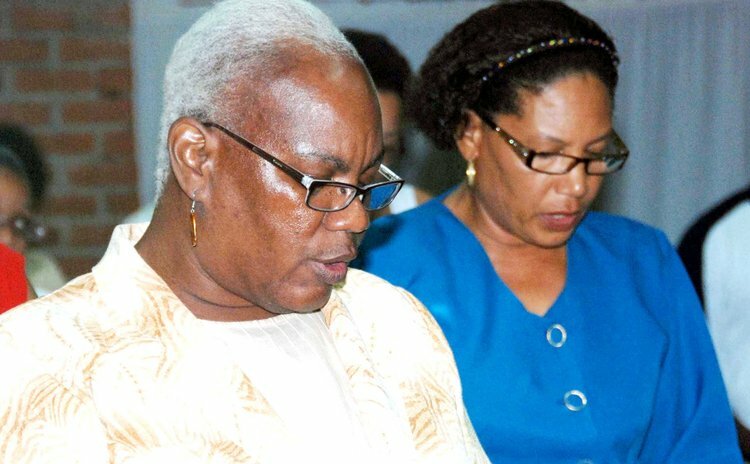 According to Bellot, Jacqueline Theodore, a member of the board held that post, in an acting capacity, after Solomon Charles resigned. However, Bellot dismissed suggestions that Theodore's services were terminated. "We are very happy and grateful that Mrs. Theodore, a long standing member of the board was able to assist us. She initially was to have held on for two months but agreed to extend it and for that we are very grateful," Bellot stated. Given the difficulties now facing the GHFH, when Blaize-Jones takes up her duties, she will need all the skills she can muster. "We are still plagued with many challenges at the Grotto and our present location is cramped and we are looking forward to our new place at Bellevue Rawle to be completed," Bellot said. Asked about reports that the Board made to the police about a former employee of the GHFH, Bellot said the matter is still being investigated. "Despite news report to the contrary, investigations are still going on and it has been so now for close to a year. As you know, the Police may not be the fastest organization in the world but we have written to the Chief for an update on the matter. "The Police just recently had the opportunity to talk to one of the principal person involved in the allegations so we are hoping that very soon the Police will give us a report on that matter. We know what we passed on to the Police…we had a lot of evidence the Police are better able and suited to deal with that matter since they are the experts. It's a lot of prima facie evidence but we are very optimistic that action will be taken," Bellot stated. Former supervisor of the GHFH, Solomon-Charles through her lawyer, J. Gildon Richards, has demanded a public apology and retraction from a talk show host, a media house and two officials of Grotto board, for alleged defamatory statements made about her.